Do you know what type of smoke alarms you have in your house? There are two basic types of residential smoke alarms - ionization and photoelectric. The vast majority of smoke alarms in use today are the ionization type, but they're being questioned more and more as a valid detection method; today they're no longer allowed as the only type of residential smoke alarms in Iowa, Vermont, and Massachusetts. 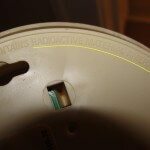 Why all the bad press about ionization smoke alarms? One of the major problems with ionization smoke alarms is that they give off too many false alarms - mostly from cooking and showers. When a smoke alarm goes off every time someone cooks bacon, people remove the battery or take down the smoke alarm. Manufacturers require them to be installed away from kitchens and bathrooms, but there is no hard and fast rule for clearance requirements across different manufacturers. 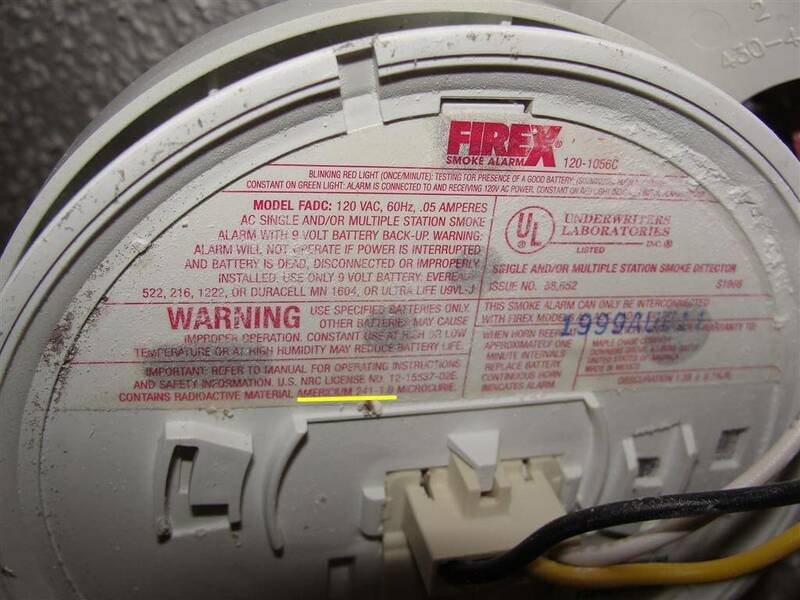 Some cities, such as Minneapolis, have implemented even stricter requirements for ionization smoke alarms; they require smoke alarms that are within 20' of a cooking appliance to either be of the photoelectric type, or to have a hush button. 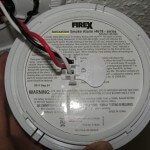 Recent statistics show that in 24% of home fire deaths, smoke alarms were present but did not sound; in half of those cases, there was a missing or disconnected battery. This is a common problem that I find all the time while doing Truth-In-Sale of Housing evaluations, and the reason people always give is that the smoke alarm goes off every time they cook or shower. 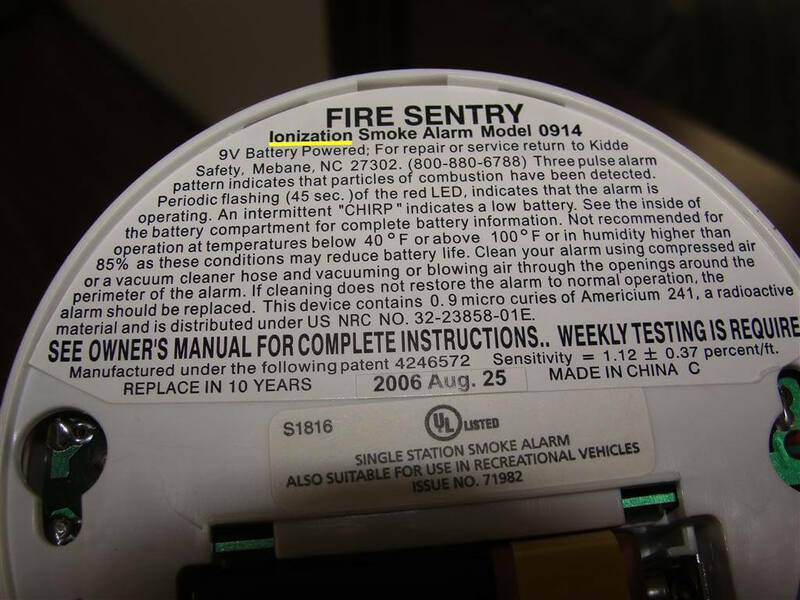 The other problem with ionization smoke alarms is that they take a long time to respond to a smoldering fire - they're tens of minutes slower than photoelectric alarms (page 17). Estimates show that at least one third of home fatal fires involve a significant smoldering period (page 14). 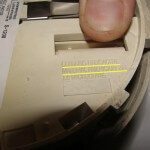 This is the major reason that there is such a push to replace ionization smoke alarms with photoelectric smoke alarms. The diagram and text below comes from a handout published by the CPSC, showing how a photoelectric smoke alarm will give occupants much more time to escape in the event of a smoldering fire. In the event of a smoldering fire, a photoelectric smoke alarm clearly outperforms the ionization type. So why do we even have ionization alarms? The main reason is cost. Photoelectric smoke alarms typically cost about twice as much as the ionization type. The other reason is that ionization smoke alarms will outperform photoelectric alarms in the event of a fast moving fire. The faster reaction time can be measured in tens of seconds, but in the event of a fast moving fire, these are precious seconds. The diagram below, again from the CPSC, helps to illustrate this. 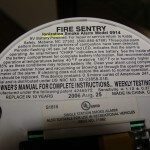 I've been hearing more and more about this push, but after recently listening to an impassioned speech on the benefits of photoelectric smoke alarms over ionization alarms, I started taking an informal inventory of the smoke alarms that are installed in Minnesota homes. Over the past few weeks, I've taken a close look at every smoke alarm in every house I've inspected to get an idea of what's the most common type used in Minnesota. 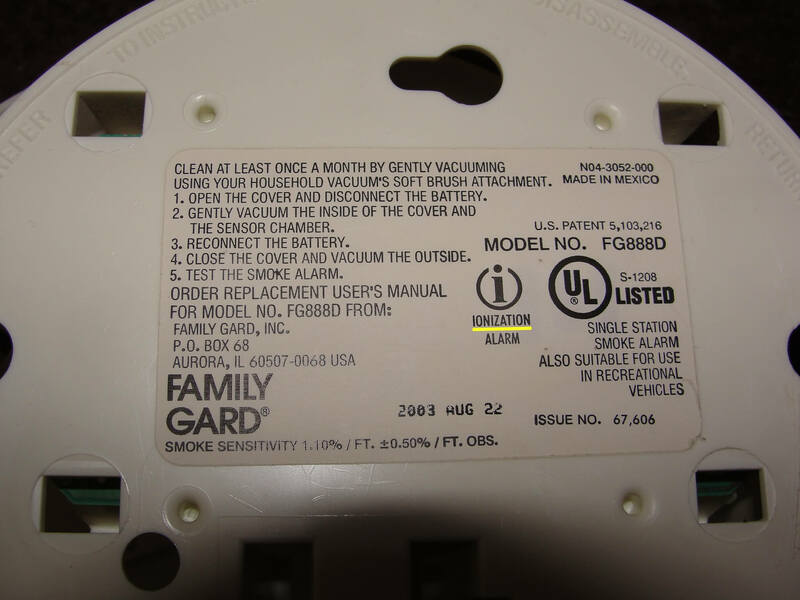 Out of the dozens of smoke alarms I've looked at, I found one dual-sensor smoke alarm, which employed both ionization and photoelectric technologies. The rest of the smoke alarms were the ionization type only. I didn't come across a single photoelectric unit. 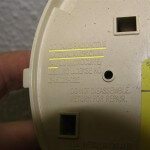 To know the difference between ionization and photoelectric alarms, you need to take the smoke alarm down and look at the back. 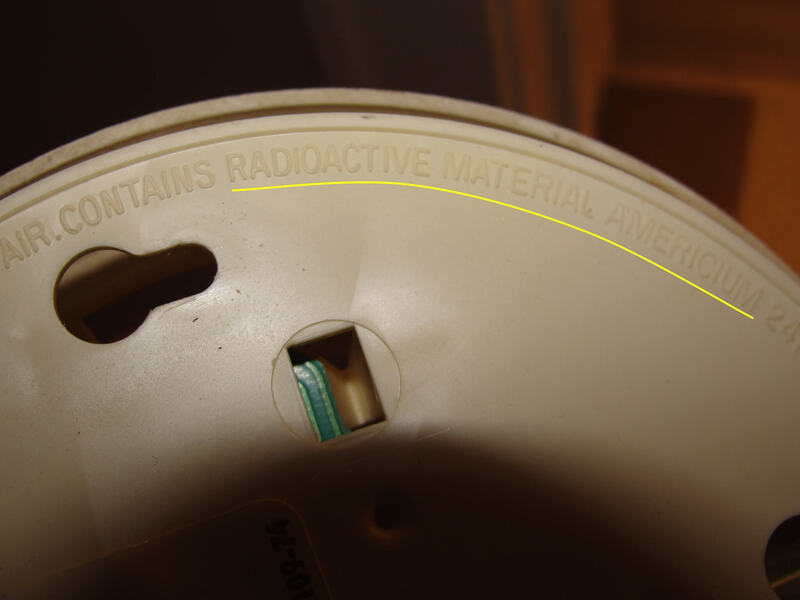 Ionization alarms all contain a trace amount of a radioactive material, Americium 241. They'll all have a warning about this on the back side. 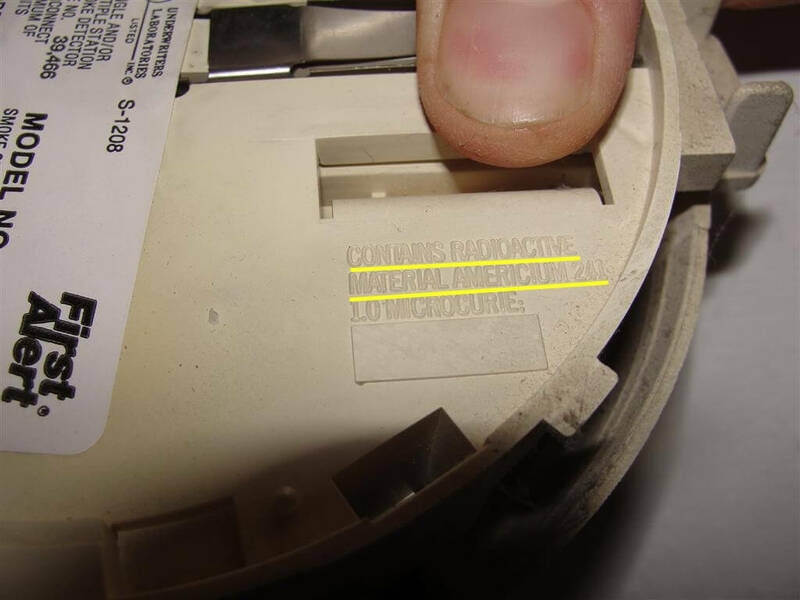 Click on any of the thumbnails below to see a blowup of the text on the back side of a smoke alarm - I marked up the labeling that indicates these are ionization alarms in every photo. 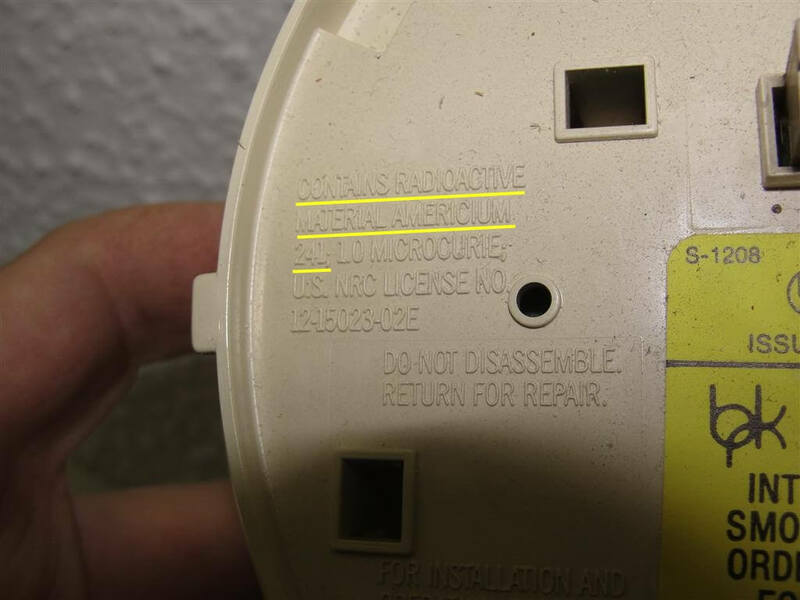 Minnesota currently has no specific requirements when it comes to ionization vs photoelectric smoke detectors. 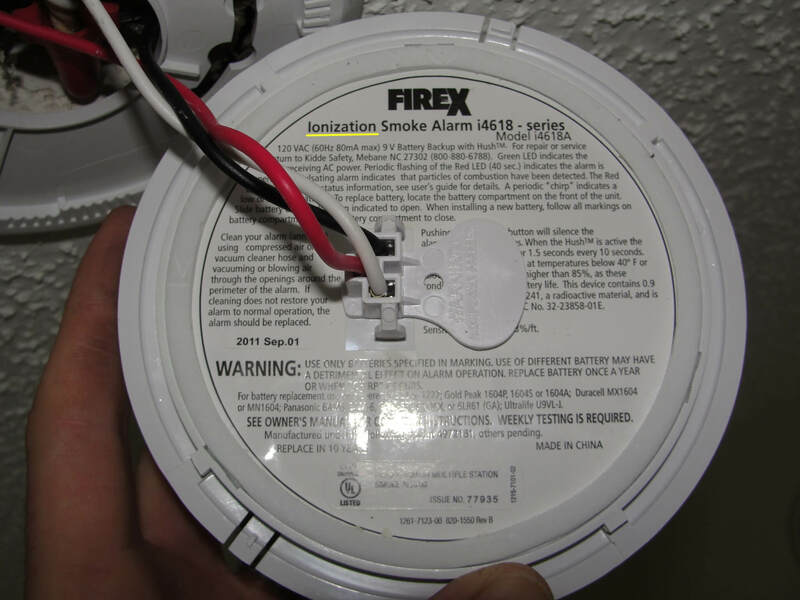 Smoke alarms are generally required in bedrooms and in common areas on every level of the home in Minnesota, and they need to be hardwired and interconnected when possible. 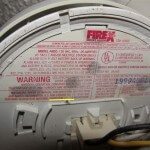 You can read the full requirements for smoke alarms in Minnesota here. 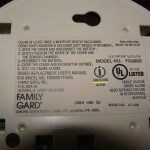 I recommend installing both photoelectric and ionization smoke alarms, or smoke alarms that use both technologies called dual alarms. Some people argue that these alarms shouldn't be used because there could be more nuisance tripping due to the ionization sensor, which would cause the occupants to disable the smoke alarm. While this is obviously a possibility, proper placement of smoke alarms and better education about how they operate is the best way to make a home safer.